The first day of the W100K mountain bike ride with President George W. Bush and fourteen servicemen and women wounded in Iraq or Afghanistan in the Big Bend Ranch State Park of Texas on April 25, 2011. 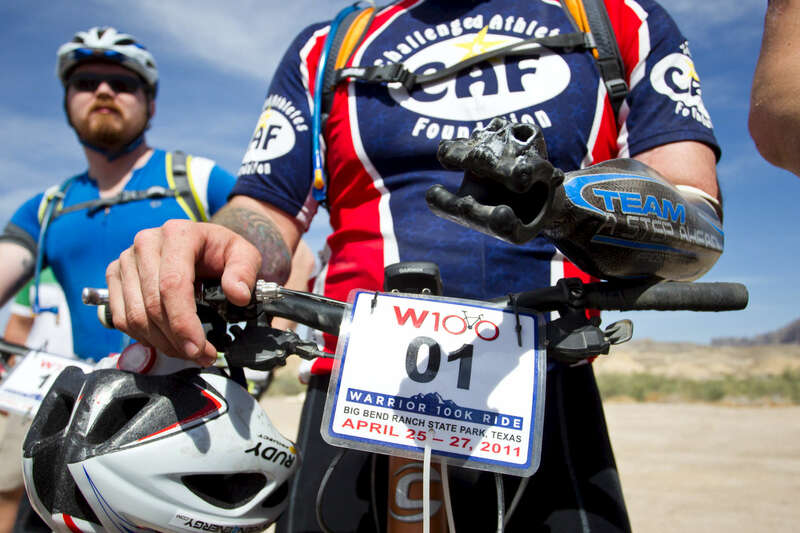 As part of the George W. Bush Presidential Center’s Social Enterprise Initiative, the W100 will highlight the bravery and physical strength of the warriors wounded in Iraq or Afghanistan, as well as those organizations that have made continuing commitments to supporting America’s heroes. Photo by Paul Morse.